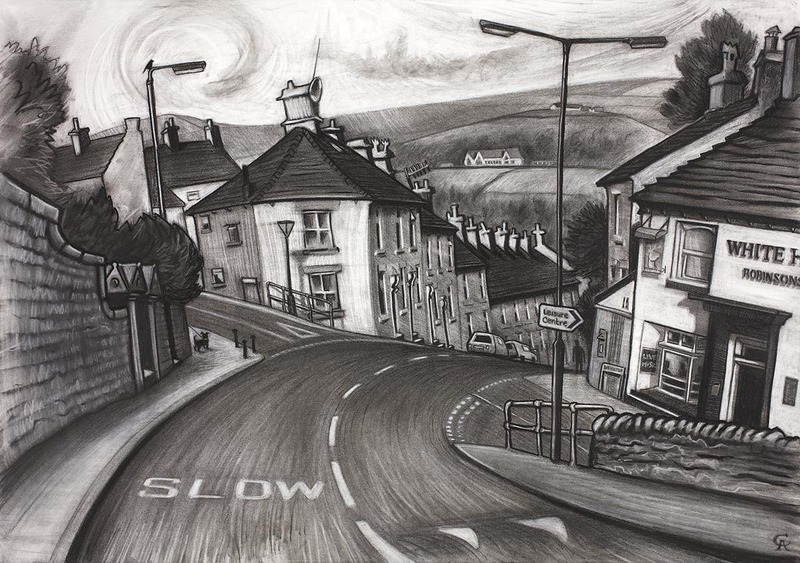 Black and white charcoal street scene, New Mills, Derbyshire. Featuring The White Hart Pub, situated at the crossroads on the original pack horse route into New Mills. 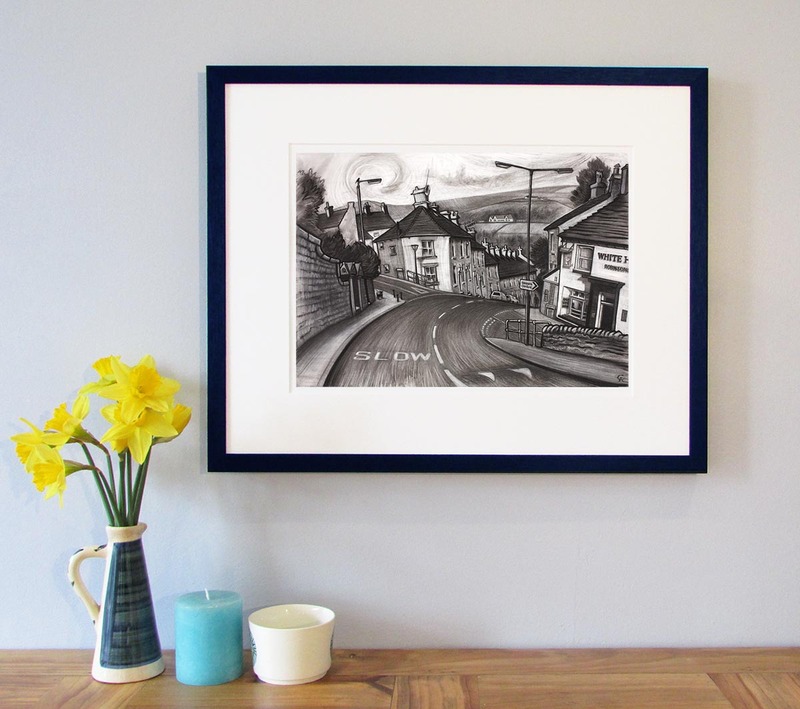 This drawing was done for a friend who was born and raised in New Mills and later moved away. I wanted to record the streets he walked on and the significant places he knew so well.